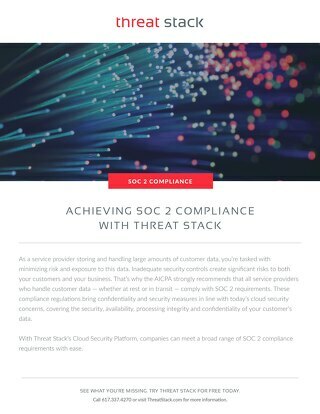 Healthcare companies today face a constant, growing need for cloud services to help them run fast, secure and compliant in the cloud. 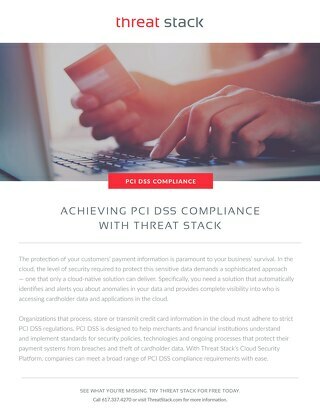 You must know exactly who is accessing and sharing what, where and when in order to identify and verify threats and keep personal health information (PHI) secure. 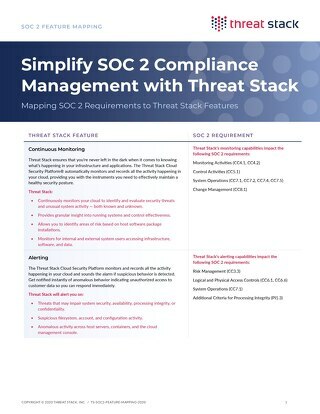 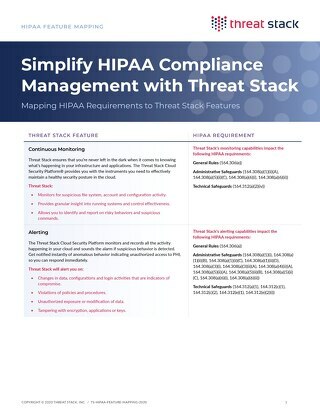 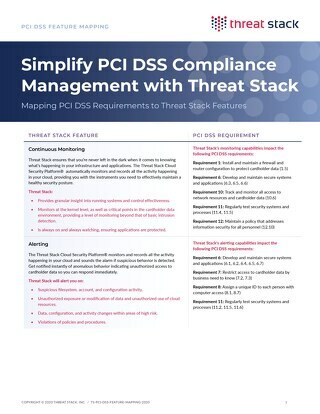 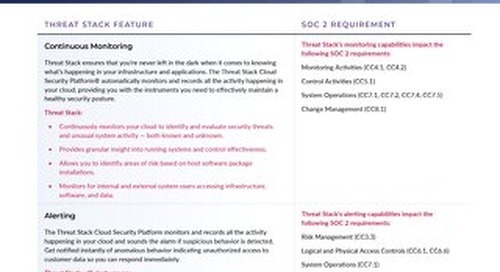 Threat Stack’s Cloud Security Platform provides healthcare companies and business associates with the most advanced solutions in order to meet a broad range of HIPAA compliance requirements with ease.